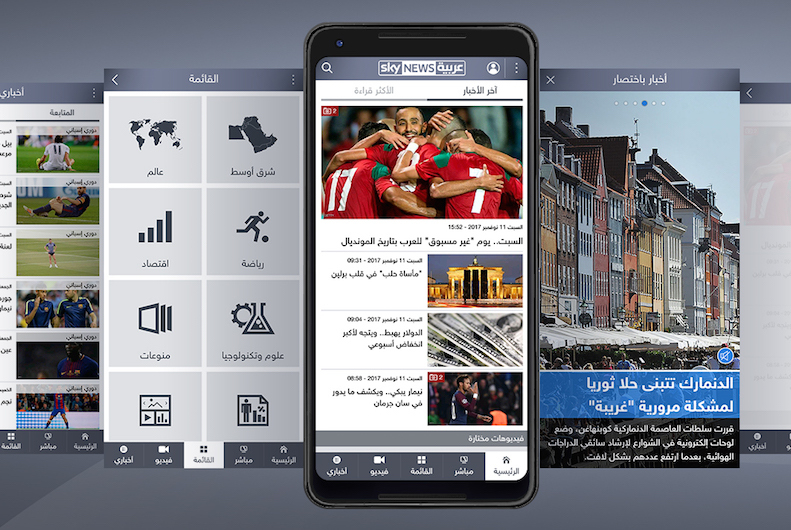 Sky News Arabia (SNA) has launched a smartphone application, encompassing a wide range of innovative and interactive features to meet users’ evolving needs. The application reflects SNA’s efforts to shift towards an omni channel content platform from a TV station, with an objective to deliver content across all SNA’s electronic and digital channels. The launch of the new app arrives as part of the network’s ambitious plans to instigate a digital transformation in the pursuit of digital media excellence— while cementing Sky News Arabia’s position as a future-oriented and multiplatform media institution. These efforts are also in line with the network’s vision to become the most trusted, influential, wide reaching and effective media entity in the region. Suitable for both iPhone and Android operating systems, the new app has been crafted to optimize the user experience. With a friendly interface that features several browsing functions, the platform enables users to stay up-to-date with the region’s latest news developments around the clock. The new app’s ‘Your Contributions’ feature is its most exciting and prominent functionality; providing all users the option to upload their own photos and short videos, supplemented with explanatory text. This content is sent directly to the Sky News Arabia newsroom, which— in accordance with specific standards— selects the posts it deems as appropriate, and publishes the content across Sky News Arabia’s many digital platforms. With its own dedicated section on the main menu, Sky News Arabia’s new app emphasizes heavily on video content. Clicking on this button transfers users to a standalone page that hosts the latest and most popular videos, in addition to videos created using innovative 360° technology.